After some serious bad luck, things are looking up for Rosie as business at her new deli is booming. When a distant relative turns up with a whole load of trouble on his back she tries to help. But on turning amateur private investigator, she finds out a lot more about herself than she bargained for. 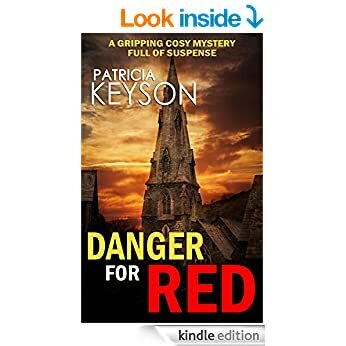 This is the first detective fiction title by best-selling English romance author Patricia Keyson. This new detective series features Rosie Elizabeth Davenport, a wheelchair-bound amateur sleuth known as "Red" because of her initials. Read this gripping British mystery first! There are occasional free promotions on many of these books.